The drop in stocks from January 26 erased 10% from the market averages. There have been at least two dozen declines of 10% or better over the last 30-years, to put things in perspective. Very few other indicators show a spreading of concern into other areas of the markets or the economy. In the past week, corporate credit spreads remained unchanged; forecast inflation was down only slightly; and S&P 500 earnings forecasts rose. Investors can take some comfort in knowing that a broader reading of the market’s “tea leaves” continues to point toward growth. If the last couple week’s market action seems surprising, it might be because there has been so little disruption recently. 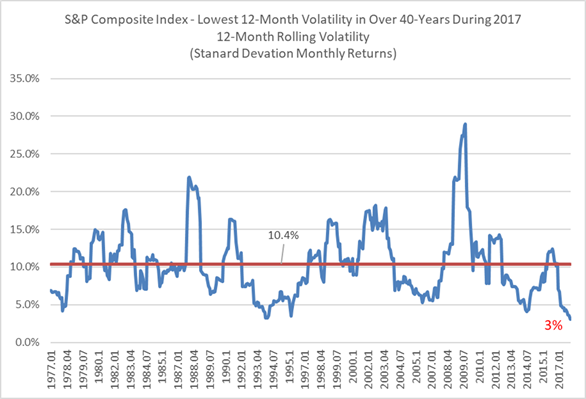 To measure just how quiet things had become, we measured the market’s 12-month volatility over the past 40 years (chart, below). As you can see, 2017 saw the lowest volatility of any 12-month period in over 40 years. The annualized monthly volatility for the S&P 1500 Composite index was 3% in 2017, compared to a 10% historic average. Since volatility has a tendency to average out over time, a swing to the upside in the measure shouldn’t be seen as unusual. It is especially important at times like these to recognize that risk is part of the investing process. Without it, higher rates of return would not be possible either, because risk and return are related. Most of the time, rockiness in financial markets is short-lived and should be taken in stride. Sometimes, a haphazard disturbance can unsteady an otherwise sound environment for a longer time. 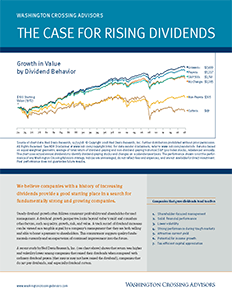 There is a strong tendency for markets to right themselves so long as underlying growth trends remain intact. Over the next few weeks we will be looking at how rising stock market volatility may be impacting other aspects of the economy. For now, we see few signs of systemic impacts from the correction. If, on the other hand, we see a persistent downturn in a wider variety of indicators, we will look to pare back risk. Falling inflation, a flattening yield curve, widening credit spreads, cuts in profit forecasts, drops in output, rising layoffs, and increased consumer pessimism all could raise concerns over a longer downturn. 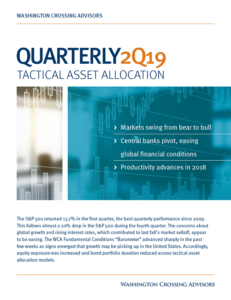 As of today, there is no evidence that any of these trends are yet taking hold despite the recent pickup in volatility. The S&P 100 Index, a sub-set of the S&P 500, is a market capitalization-weighted index that measures the performance of large cap companies in the United States. The Index comprises 100 major, blue chip companies across multiple industry groups. The S&P Composite 1500 Index, is an index of U.S. stocks that includes all companies in the S&P 500, S&P 400, and S&P 600. This index covers 90% of the market capitalization of U.S. stocks. It is designed for investors seeking to replicate the performance of the U.S. equity market or benchmark against a representative universe of tradable stocks.